1. 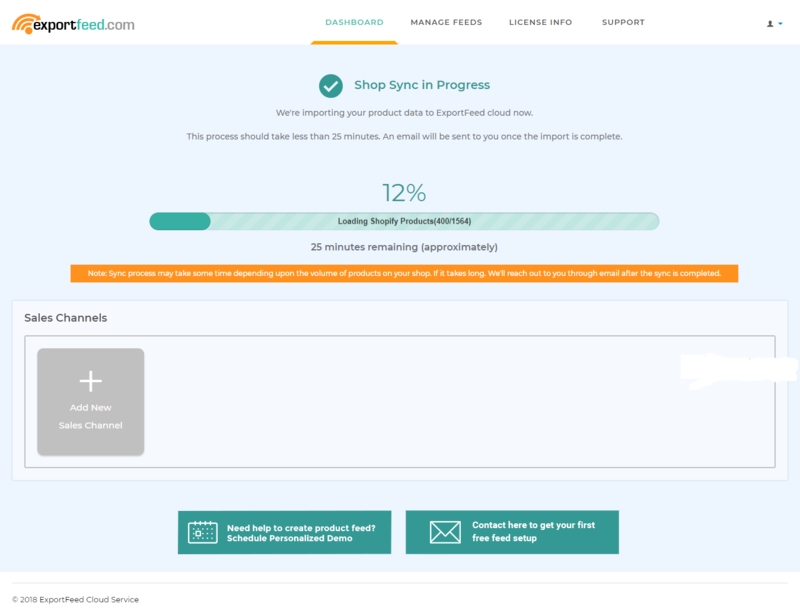 You must have a professional Shopify Store to install the ExportFeed Shopify App. Just click “Add App” button. If you haven’t logged in, Shopify will prompt you to login to your store. 3. 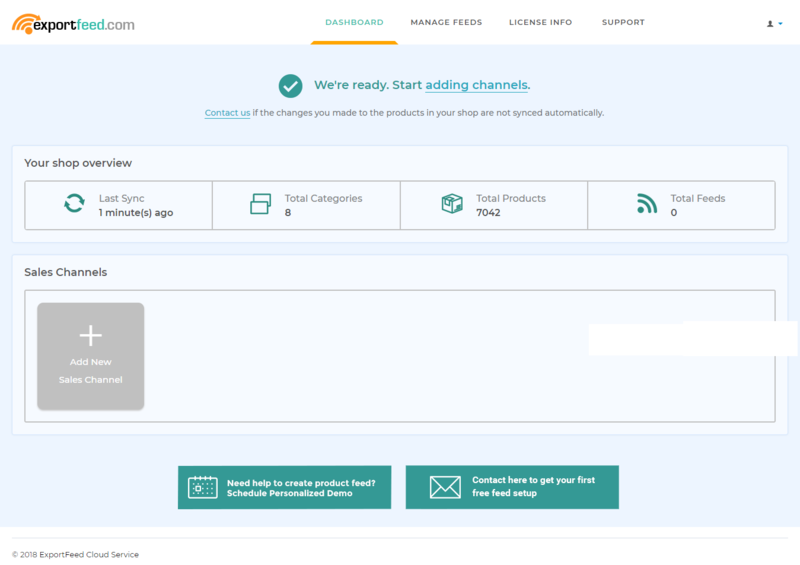 You will see your Shopify store installed on ExportFeed Cloud Service. 4. After the installation is completed, your shop will be synced with our server (only product data). 5. Once the sync completes, we will send you an email notification also. Note: Sync process might take some time depending upon your product count and attributes in your store. That’s it! You’re now ready to generate your first feed.